The perennial inferno at the Gikomba Market in Nairobi has struck again. In what has become an all too familiar pattern, the fire broke out in the dead of the night on Wednesday. 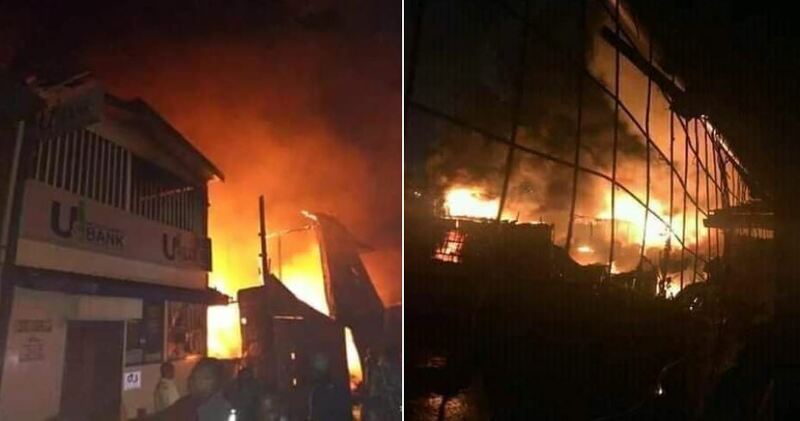 Reports indicate that Nairobi firefighters arrived on time and contained the fire before it spread to other parts of the popular market space. Several business stalls were, however, razed down by the inferno. No injuries had been reported by the time of publishing this article. The latest inferno at Gikomba comes just seven months after another fire claimed the lives of 17 people and left about 70 others with serious burn injuries. Property worth millions of shillings was also destroyed. In October 2017, another fire broke out in the market, with President Uhuru Kenyatta calling for investigations to establish the cause of the tragedy that occurred barely one month after a similar inferno in another section of the market. The frequent occurrence of Gikomba fires has raised eyebrows, and this latest one is no exception. Kenyans on Twitter have come out in numbers to express their shock at the Wednesday inferno. Most argue that underhand dealings associated with land grabbing are the cause of the persistent fire outbreaks. We have sampled some reactions below. Let no one lie to you about Gikomba fires being an accident. Just check the response of fire fighters and the proximity of fire station given there’s zero traffic at night! Someone big at City Hall is calling the shots! Gikomba Fires are like CORRUPTION!